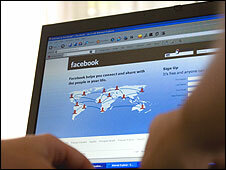 Social networking websites such as Facebook are helping to reduce college drop-out rates, it is claimed. Gloucestershire College says social networking is used to keep students informed and in touch with staff. "There has been a significant improvement in retention," says media curriculum manager, Perry Perrott. Using such teenager-friendly communication tools has a "positive effect on motivation", says the government's technology agency, Becta. "We're embracing it rather than fighting it," says Mr Perrott. He says Facebook pages for individual courses help the students to bond with each other, work together as a team and maintain their connection with staff. As a consequence, he says that there has been a reduction in the number of students dropping out of courses. Students on media-related courses at the college use the social networking website to get information about assignments and to access help either from other students or from staff. These are closed group pages, with designated times when lecturers will check for questions or messages and when students can have discussions about their courses. When the use of such websites was so widespread among students, Mr Perrott said it made sense for colleges to take advantage. With social networking also available through mobile phones, it means that students can keep in touch with each other and be given support outside of class. As a practical example, he says students had been asking each about what was needed for an assignment - and he was able to intervene and explain, allowing the work to be handed in on time. "This can be a properly managed way of sharing information," he says. It was also used as a way of keeping in touch with students who were about to start courses, helping them to make contact with future course mates. At City of Sunderland College, a pilot scheme using Facebook has found it useful as a way of reminding students about deadlines. Lynne Hardy, a lecturer in biology and physiology, says that students can often forget when work needs to be completed and this is a way of "giving them a gentle prod". "Students are already familiar with it, they're very comfortable with using it," she says. "Technology is no longer an optional extra - and modern trends such as social networking should not be ignored," says Jane Williams of Becta, the government's educational technology agency. "Virtual learning environments, simulations such as Second Life and social networking sites can have a positive effect on motivation and attainment across the further education sector," says Ms Williams, executive director for further education, regeneration and delivery. "With social networking technologies, you can communicate to many students easily and quickly at next to no cost, which is increasingly important in a world where budgets are under pressure."